Polkadot Sweetheart: Some red red roses. 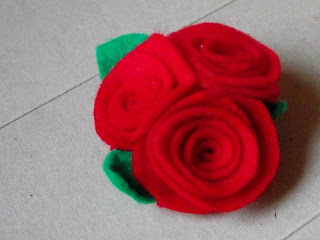 Recently I found the forums on Folksy and I have enjoyed joining in with thr friendly Folksy community there. 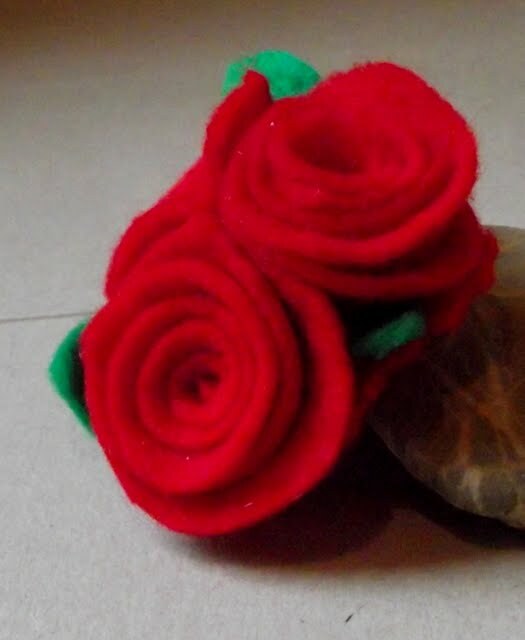 Thismonth I decided to take part in the January craft challenge, the theme was Scotland and the final date for entering was today! Burn's Day. And so in my usual style I kind of scraped in at the last moment. LOL. Luckily it isn't a competition, it is just for fun and to be inspiring and challenging. 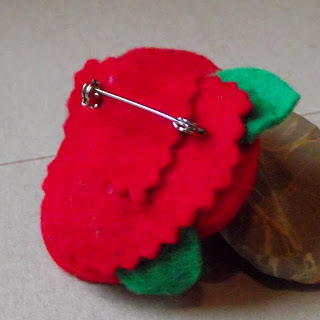 After a false start with some very stroppy tartan fabric (which I ultimately abandoned), I decided to make a fabric brooch. 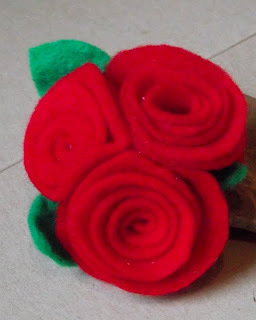 I have actually made hairclips like this for the craft fair, but I haven't done a brooch in red before. 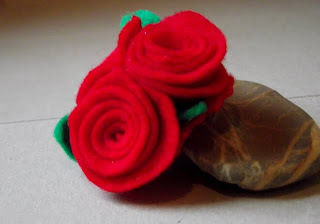 So here it is my litttle nod to Mr Rabbie Burns himself, my wee brooch adorned with red red roses.